Sri Lanka Telecom, the nation’s number one integrated communications service provider and the leading broadband & backbone infrastructure services provider, is proud to announce the successful implementation of the 1st phase of its ultra-high speed Broadband Network under its nation-wide network modernization project “i-Sri Lanka” which has already driven an increase of 40,000 new broadband connections to the network. The i-Sri Lanka project is due to be fully completed within a period of 18 months, at which time it will provide ultra-high speed broadband 20Mbps service to more than 90% of SLT customers by adding capacity for 600,000 new broadband customers to the network. 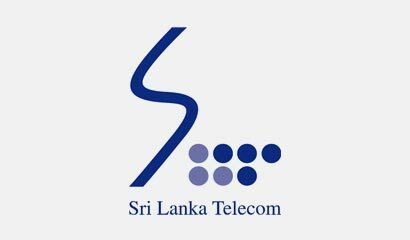 Through the completion of the i-Sri Lanka project, SLT plans to increase the existing customer base of 300,000 customers to 600,000 over the next couple of years to ensure the 1 million SLT Megaline customers can enjoy broadband and PeoTV (triple play) services. The i-Sri Lanka project was kicked-off in 2011 to enhance and upgrade SLT’s existing fixed network, by expanding the fibre network to bring it closer to customers through Fibre-to-the-Node (FTTN) deployment of Multi-Service Access Nodes (MSANs), located within short distances from customers. This reduces the length of the copper connection with a resultant significant increase in reliability, quality and broadband data speeds. Reducing the copper cable lengths not only improves reliability, but will reduce maintenance and replacement costs. Through this programme SLT has already brought ultra high speed broadband connectivity at speeds of up to 20Mbps for many of its fixed customers. This programme is fully integrated with the company’s Next Generation Network (NGN) modernization project. In addition, most importantly, this expansion will bring SLT’s interactive PeoTV, the multi channel TV network to all Megaline customers for the first time. With this ongoing i-Sri Lanka project, the Company has addressed key network limitations due to inherent characteristics of the older copper network, affordability of services and limited options for the future, which has limited broadband penetration in Sri Lanka. With this modern network architecture, SLT converts its street Cabinets to Access Gateways to provide improved High Speed Broadband, PeoTV IPTV and to add additional capacity to the network to cater to the growing customer base. Despite a global trend of declining fixed line subscribers, SLT has consistently driven a steady increase in fixed customers over the last 3 years. The demand for high speed uninterrupted broadband has fuelled the company’s strategy to deliver double-play and triple-play services, which has contributed to ongoing growth in our fixed customer base and revenues. According to the CBSL Socio – Economic Report 2011 & TRCSL, both Fixed and Mobile Broadband Penetration as at end 2011 were 4.0 % (844,000 subscribers including 1.7% Fixed Broadband Penetration & 2.3% Mobile Broadband Penetration). At present, Less than 50% of SLT fixed line (SLT Megaline) customers currently have access to IPTV (PeoTV) and 2Mbps (or higher) broadband.